This blog entry should have been posted before, because it has the basic principles needed to be investing precious metals. But, late is better than never. I like writing about principles such as the following because it helps me remember the basics! I didn't get heavily involved in investing precious metals until a year or so ago due to a) finally having an interest in my on financial affairs and b) a friend demanding that I watch a few videos on gold and silver. I guess I was pig investor in a sense, because if gold and platinum hadn't have been rising, my friend wouldn't have convinced me to get in. At that time I wasn't buying palladium and silver, because the local shop only had gold and platinum. 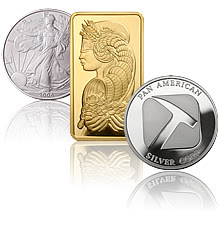 Now, I'm I'm still investing; precious metals palladium and silver are my choices. Last year I got in the market, but I was moving houses, so I got out at the peak and sold a lot of what I had. I kind of lucked into making myself a large amount of pocket change! 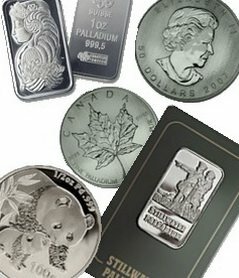 But, now that I know what I'm doing, and now metals like silver and palladium cheap, I want to buy more and more! I have some, but I'm going to need the money for my business (unrated to investing in precious metals). The only thing I can do right now is sell of some gold which is relatively high for some silver which is pretty low. There's not much else I can do without the cash. I will need the other money I have to live on for the next few months and pursue other investments. If I had the money I'd stock up on the white metals now, and sell when the reach the levels they were this spring. Then when they drop below that I'd get some more, save for the long term, and forget about it for a while. Sure, all the metals will triple in value in 5-10 years, but, if we only have $5000 invested, we can't hope for a very big payoff in 5-10 years. If we invest $50k now though, we'd make a lot more! I know this is investing 101 here but reiterating it helps everyone learn. Plus, there might be beginners reading this who need some insight!